I’ve started to get a little backed up already due to my weekend excursion (I will be writing about that next Monday), which means I’m going to have to do a Poster Roundup, in order to get you all caught up on the recent posters you’ll be seeing for this year’s movies (and one from next year). This film is an oddity. Based on an acclaimed book, directed by an incredible director, and featuring a cast that includes Power Couple Michael Fassbender and Alicia Vikander, as well as Rachel Weisz, this should be the year’s big release. However, Disney doesn’t seem to care about this one at all, dumping it on Labor Day weekend, one of the dead zones of the year. That’s not a great sign, but I’m holding out hope. I’ll be posting the trailer later today, but you can see the film’s fairly standard poster below. 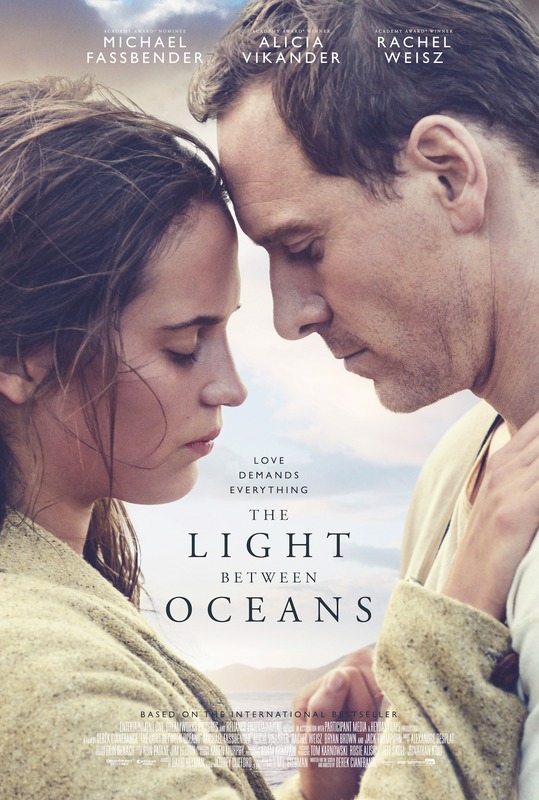 The Light Between Oceans follows a lighthouse-running couple (Fassbender and Vikander) who discover an infant washed up on shore. They decide to adopt the girl, and manage to form a loving family. But then the heartbroken mother comes knocking (Weisz). Directed by Derek Cinafrance (the highly depressing and wonderfully made Blue Valentine and The Place Beyond the Pines), the film opens September 2nd. Is the world ready to forgive Mel Gibson? We’ll find out in November, when Gibson’s next big film is released. 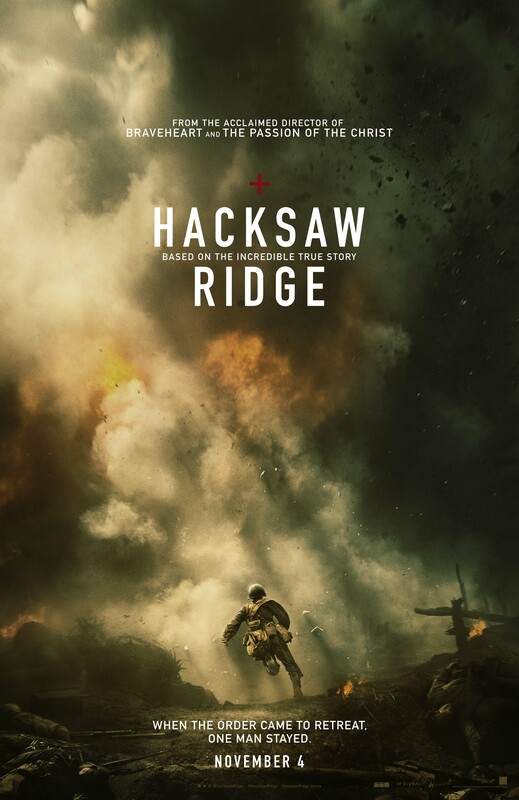 Gibson’s two wheelhouses are bloody historical events and faith, and that’s exactly what he’s about to explore in his new film Hacksaw Ridge, except this time, there’s a twist. This time, the hero is going to avoid the violence, instead of being the perpetrator or victim of it. Personally, I think the things Gibson said are deplorable, but I also wish to heed Robert Downey Jr.’s advice about second chances, as well as believing in the separation of art and artist. I’ll be seeing this one and hoping for the best. The film will tell the story of Desmond Doss, to be played by Andrew Garfield. Doss joined the army during World War II, despite being a conscientious objector. Due to his religion, he didn’t believe in firing a gun or killing anyone, and despite criticism and attempts to kick him out of the army, he ended up becoming a doctor and saved 75 men in one night when others were afraid to take the field. He ended up winning the Medal of Honor for his bravery, the first conscientious objector to earn the award. 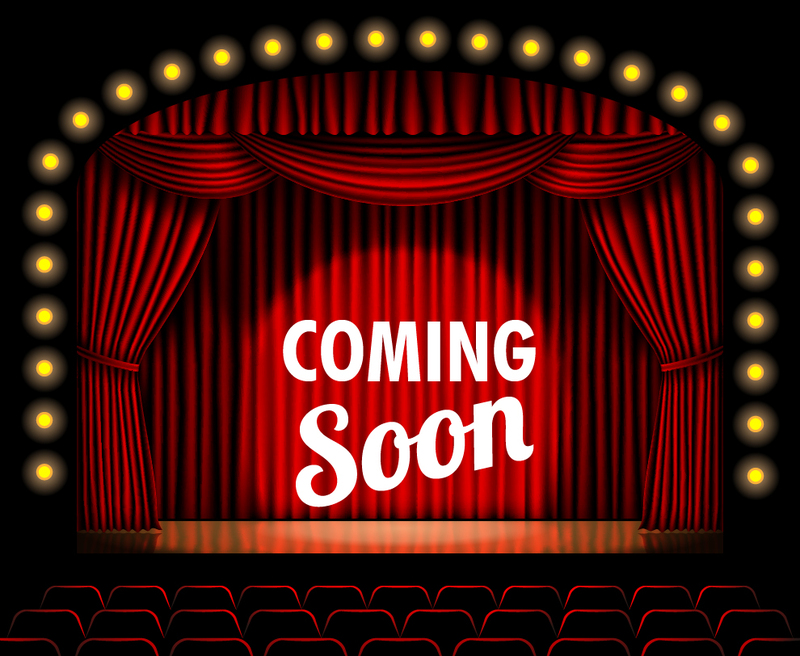 Test screenings have so far been positive (although they have been held in Doss’ hometown), and the film also stars Vince Vaughn (potentially the next McConaughey in terms of turning around one’s career), Sam Worthington, and Hugo Weaving. The film comes out November 4th, and while I don’t expect the Academy to forgive Gibson this time out, maybe it will be the start of a mea culpa for the future. Whenever some major disaster happens, the question that a film fan must depressingly ask themselves is “So how long until we have to get a movie about this?” In the case of the Boston Marathon Bombings, not long. 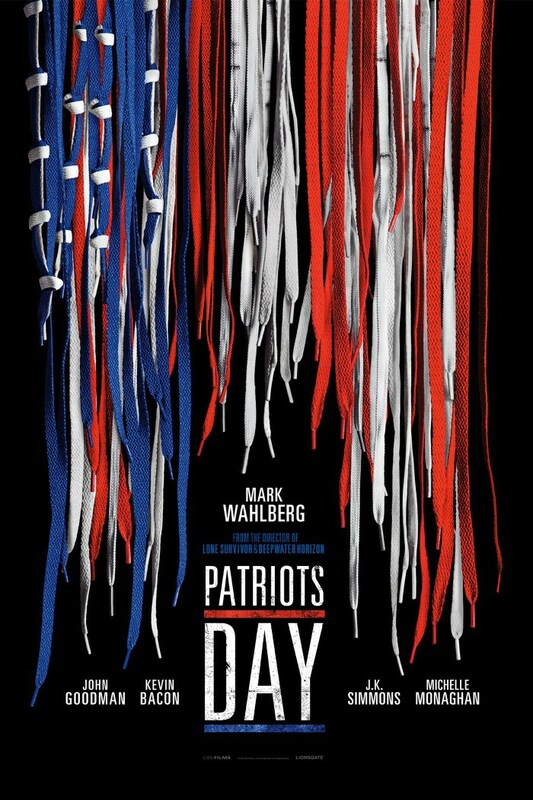 Peter Berg (Friday Night Lights, Lone Survivor) has prepared his film about the attack on the Marathon in April of 2013, and he’s brought together an honestly stellar cast for this film. Mark Wahlberg will play the police sergeant leading the charge on the case (one assumes, based on his characters’ description as a “composite character”), John Goodman will play Police Commissioner Ed Davis, J.K. Simmons will play a Watertown Police Sergeant, Kevin Bacon will play the FBI Special Agent assigned to the case, and perhaps most fascinatingly and importantly, Alex Wolff of the Naked Brothers Band will play Dzhokhar Tsarnaev, one of the two bombers. While I feel this film is unnecessary, and I was not a huge fan of Lone Survivor, Berg has a clear vision for what he wants, and it is, undeniably, a fascinating story. I had a family member at the marathon who was luckily unharmed, and I still remember sitting in my dorm hallway in front of our television from 3 a.m. onwards as we watched the chase ensue. If there was a story that seemed set for Hollywood, this one is most likely it. The film is set for an Oscar release on December 21st before going wide January 13, 2017. Admit it, this is the one you clicked on the link for, isn’t it. That’s ok; it’s the reason I would have clicked on it too. 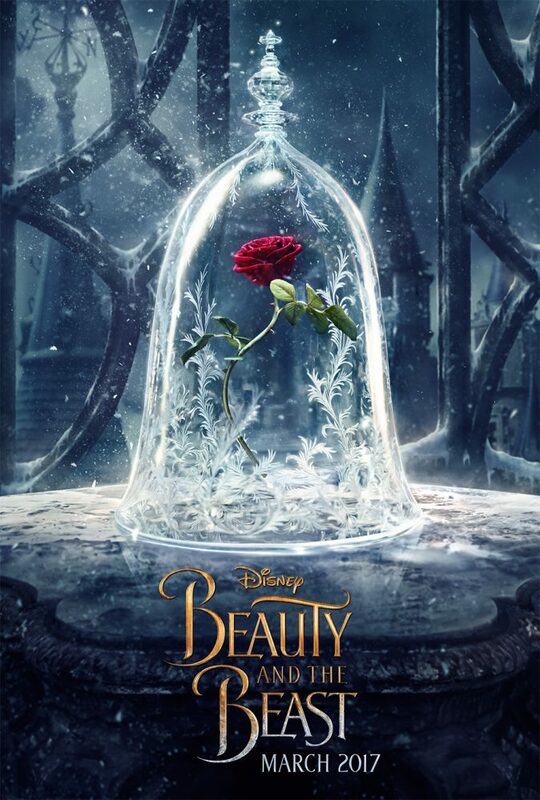 Disney’s next musical extravaganza is Bill Condon’s Beauty and the Beast, the live action adaptation of their inarguably best animated film to date. The film is written by Perks of Being a Wallflower author/screenwriter/director Stephen Chbosky, and stars Emma Watson, Dan Stevens, Luke Evans, Emma Thompson, Ewan McGregor, Ian McKellan, Kevin Kline, Audra McDonald and Josh Gad, so I assume Disney is taking this one pretty seriously. 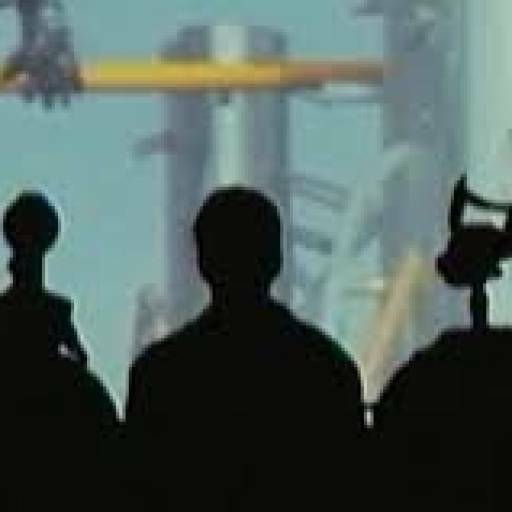 They are also really building up the nostalgia for it, as the trailer was literally just a live-action shot-for-shot remake of the original’s preview. Honestly, I’m incredibly excited for this one, not only because of the talent involved with this film, but because the original is one of the five Disney films I truly connected to as a child, and thus I feel a stronger connection to it. I’m sure that when this film comes out March 17, 2017, it will be a raving success, and I can promise I will be there in the front row to witness it.